I'm a very happy user of Octopus Deploy along with TeamCity to provide continuous delivery of our application. Deploying new versions and bug fixes to our application isn't a stress or worry or one other variable to think about. Really looking forward to the API to automate the few things that are left to automate and I'm looking at various API's for best practices at the moment and I like not having IIS as a dependancy. Unit testing a good plus too. Well done Paul on a great product and blog. Tools like Chef and Puppet are increasing their support, but there are also Windows specific solutions being developed like Octopus. Octopus allows automated deployment of your ASP.NET applications and Windows services and decreases dependency on PowerShell. 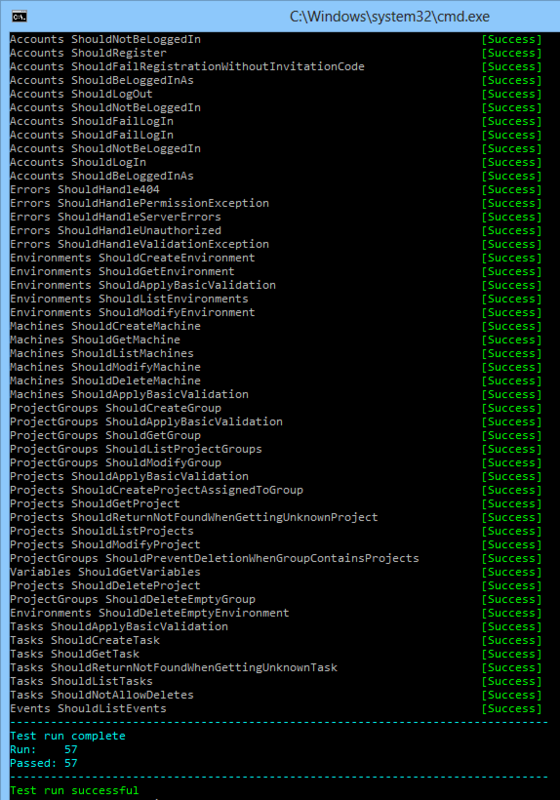 It can be used with both NuGet using Octopak and TeamCity to create a full build, package, and deployment pipeline. When we first shipped, I expected Octopus Deploy to be used by customers with a handful of projects, deploying them to a dozen or so machines. I figured that banks and the fortune 500 wouldn't go near it. In reality, we have customers using Octopus to deploy over 200 projects to 300+ machines, and is being used by some pretty recognizable brands. People aren't just trialing it, they are seriously committing to it. We've also learned a lot about the trade-offs and limitations of our current architecture and ways it could be improved. There are features that we'd love to add that just aren't possible without revisiting large parts of the application. At this point, there's a temptation to just stick with the current architecture. It may not be perfect, but it's working. We could add a few small features here and there and call it version 2.0, without doing anything too significant or risky. Then we'd switch to marketing mode and hope that the Diffusion of Innovations model takes its course, and we grow without doing much more work. And, eventually, someone else would come up with a better product and we'd fade away. As he designs the first work, frill after frill and embellishment after embellishment occur to him. These get stored away to be used 'next time.' Sooner or later the first system is finished, and the architect, with firm confidence and a demonstrated mastery of that class of systems, is ready to build a second system... The general tendency is to over-design the second system, using all the ideas and frills that were cautiously sidetracked on the first one. Certainly when building Octopus 1.X there have been plenty "if we had only done this thing different, that thing would be way easier to add" moments. I'm hoping we'll be able to address some of those issues, but without going too far. In fact, right now, Octopus 2.0 doesn't have much of a UI at all; I'm doing most of the work through an automated API test suite that I blogged about on my personal blog recently. Since the web stack was being revisited, we even re-evaluated whether the Octopus 1.0 choice of ASP.NET MVC running on IIS was still valid. And it wasn't. Instead, Octopus 2.0 uses Nancy, self-hosted. When you install Octopus 2.0, there'll just be a Windows Service; there won't be an IIS application, and you won't need to install IIS on the Octopus server anymore. That also cuts out a whole bunch of support issues for us. We're doing other things differently too. We're embracing eventual consistency, so everything feels really fast. And we're designing the new UI to work much better for very large amounts of projects, environments and machines. Instead of a project having a list of steps, projects have a deployment process that provides a lot more control about what to do on failure. I'll blog more details about these changes as we get further into building Octopus 2.0 and we have a better understanding of the changes. When will it ship? Once we've made some more progress on the UI (the REST API is now looking pretty complete) we'll try to make beta downloads available for people who want to give it a try. I'm hoping we'll have something to release by the end of August/September, but we'll know more as we get closer to a beta release.